Ingredients: beef, sauce (water, honey, tomato paste, organic cane sugar, organic sucanat, vinegar, salt, molasses, spices [black pepper, chili powder, mustard, celery, tumeric, cloves], onion, natural hickory smoke flavoring), and natural juices. 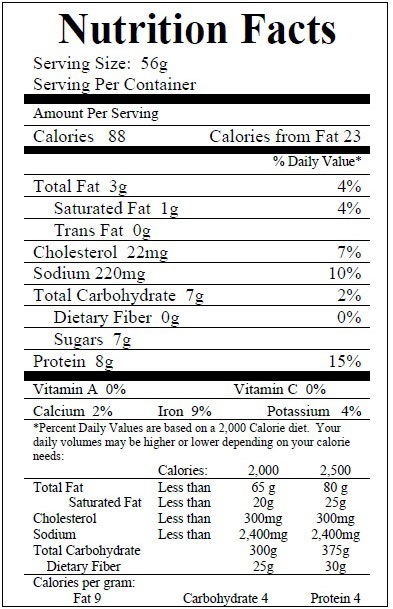 Each BBQ Slow Roasted Shredded Beef package averages 1.5 pounds. Purchase 8 or more and save 10%. BBQ Shredded beef an easy tasty meal. Our family heats up the pre-cooked BBQ beef on days we don't have time in our busy schedule to cook meat from the fridge. I can fully defrost it from frozen in 20 minutes in a pot of water & then put it on a pan in the toaster oven for 20 minutes while doing other things. Very tasty easy meal. I actually crave this if I go too long without it. I feel like it makes a ton.. I try to watch my portion sizes and it keeps in the fridge for days! This BBQ roasted shredded beef is the best. Nothing is better than quality beef for a quick dinner. US Wellness meats are the best. I highly recommend this beef! It's delicious and soooo easy to make! I have been wishing I could have BBQ for sometime and thought I'd give this a try, in case I had company for the weekend, I would love to have a "prepared" meal that everyone would like. It's a winner! Delicious and everyone enjoyed it, even the picky one. There are no "bits" of suspicious things (ie onions) to pick out, everything is uniform and delicious! Thanks you Wellness Meats for making easy also healthy and delicious! I wanted to love this but the sauce was overwhelming. My family refused to eat it. Love the pre-made roast though! USWM- We are truly very sorry to hear about your disappointment with the BBQ Slow Roasted Shredded Beef. We haven't heard similar complaints about there being too much sauce. Usually our customers love our BBQ Sauce! We recommend trying out Plain Slow Roasted Shredded Beef. It is a crowd favorite! Great option for a quick meal. The BBQ sauce is well-balanced and the meat is incredibly tender. Highly recommend! I love to order this and have it on hand for nights when you just don't feel like cooking. Its super flavorful and delicious.